I quickly see a change in my skin after just one use. The day after I used it, I noticed my skin felt significantly softer and more supple. When you first apply it, it does feel like any regular oil but then when you massage it into your skin it settles on your face like a primer would. I do appreciate the scent. You can definitely smell the apricot and this serum reminds me of cake batter. 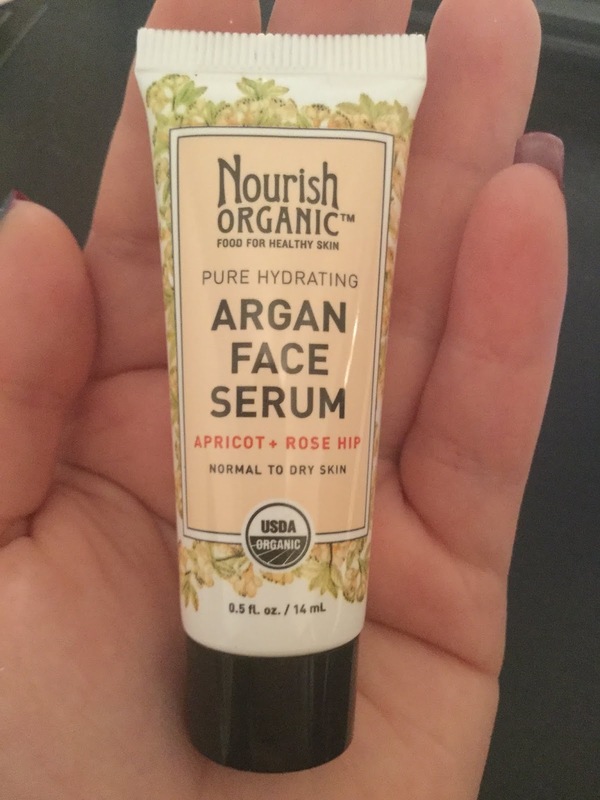 I love that this serum doesn't break me out at all! Especially, seeing as how I have very sensitive skin, It's hard to find an oil that won't clog my pores and cause skin reactions. But luckily I found this serum that only improves the quality of my skin. But I completely despise the packaging. As soon as you start using the serum, it collects at the cap and the serum covers the outside of the packaging. I hate it because it just gets so messy and it gets annoying to clean it up. I know that for their full sized product they have a different type of packing but for the purpose of this review I am taking into account the packing that I have for this product. I am going to give this product 4 stars on 5. The only reason why I am not giving it a perfect rating is because of the packing. Otherwise, this serum is freaking great! It doesn't break me out at all! It has such a different finish to it that I feel that is the reason why it doesn't clog my pores. It does exactly what it's meant to do and I love. Definitely recommend this for people to tend to have dry skin or even to use during the winter for those harsh weather conditions.